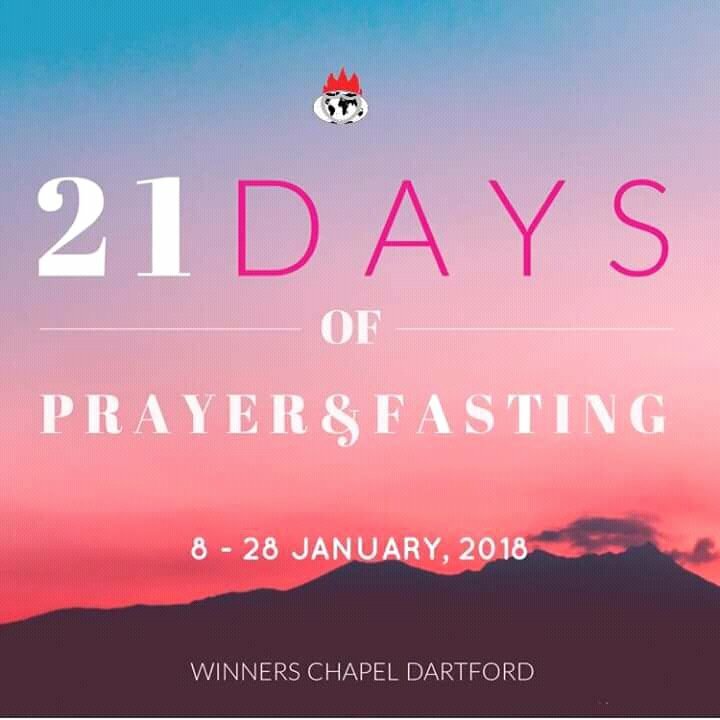 LIVING FAITH CHURCH WORLDWIDE Inc.
21-DAY PRAYER AND FASTING, 2018. Prophetic Focus: PRAYING WITH FASTING WORKS. Prayer 6: Father, in the name of Jesus, we decree judgment against the gods of the land and all satanic manipulations targeted at stalling the growth of this church resulting in the invasion of abiding multitudes this year – Exo 12:12. Prayer 3: Father, in the name of Jesus, we invoke the vengeance of the Holy Ghost upon all resistances of the devil against the salvation of souls of the lost across our harvest field, resulting in the invasion of abiding multitudes all through this year– Ps 94:1. Prayer 4 Father, in the name of Jesus, set a seal of protection over all our members and their families against all forms of attack all through this year and beyond- Psa. 125:3-5. Prayer 5: Father, in the name of Jesus, let the Holy Ghost sweep across our harvest field with strong waves of convictions, thereby drawing multitudes into this church this year – Jn. 16:7-8. Prayer 4: Father, let your hedge of protection be strong around your servant, the Apostle over this Commission, and his family and let every arrow targeted at them return back to sender -Psa. 89:20-22. Prayer 3: Father, in the name of Jesus, let our soul winning endeavours in this cell be impactful this year, leading to continuous growth and replications of the cell – Jn 6:44.